World Autism Awareness Day falls on April 2nd each year and is part of the larger World Autism Month observance. The observance includes hundreds of thousands of landmarks, homes, and buildings worldwide being swathed in light blue to recognize people living with autism. Many educational activities and events will take place to foster understanding and promote acceptance of autism spectrum disorder, or ASD, and of course, fundraising will intensify to endow growing research challenges to meet the needs of this highly individualized disorder. 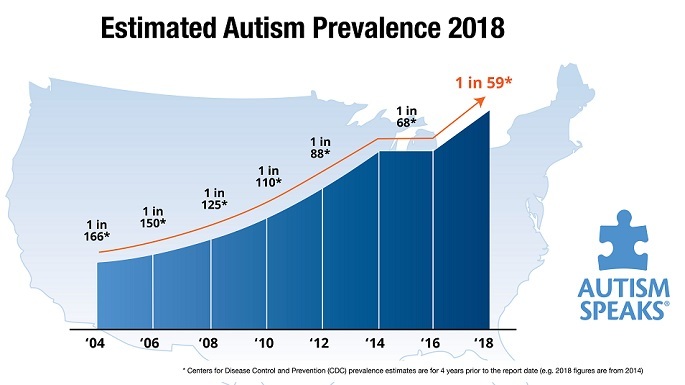 The prevalence of autism is on the rise in the US. Because the condition first manifests itself before the age of 3, the majority of people receiving new diagnoses are under the age of 6. Autism spectrum disorder (ASD) refers to a broad range of behavioral conditions that include challenges with social skills, speech, and nonverbal communication as well as repetitive behaviors. The Centers for Disease Control and Prevention (CDC) now estimate that autism affects 1 in 59 children in the United States. That number has been steadily increasing in the past decade. Autism is a very plural condition as there are many subtypes, primarily influenced by the environmental and genetic factors and has varying degrees of severity. Individuals coping with autism have distinct sets of strengths and challenges. That is why people are characterized as being on an autism spectrum because the individual scale of learning, thinking and problem-solving skills can range from highly skilled to severely challenged. Some who are diagnosed with autism spectrum disorder (ASD) may be able to live entirely independently while others may require some to significant support in their daily lives. Federal and state programs help assist families with children and young adults who have ASD. The Individuals with Disabilities Education Act (IDEA) federal law outlines rights and regulations for US students who require special education. The US Department of Education website outlines the basics of IDEA in simple terms. Are these services available until the young adult reaches the age of 22 and then what? There is a vast continuum of diagnosed and undiagnosed adults who are struggling to make sense of life while living with ASD. Autism Speaks is an organization that calls on legislators and public health agencies like the National Institute of Health to promote research and advancements in understanding the increased prevalence of and complex medical needs that often accompany a person with autism. There has recently been a call to double the budget to advance research and create policies that better provide individual support and services as autistic children transition to adulthood and need employment and residential options. For people afflicted, autism is a lifelong condition and there is an unacceptable gap in our awareness of their needs particularly as children age out of federal school programs at 22 and are left to struggle with areas of basic life skills such as employment, housing, and social inclusion. Children with autism eventually become adults with autism. While some autistic adults become very successful, even famous for their success in arts and sciences (Albert Einstein, Dan Aykroyd, and others) others languish in their inability to navigate a complex world. Wherever an adult finds themselves in the autism spectrum, there are specific basic needs which mirror those adults without the challenge of ASD, and they are friendship, support, and opportunity. The mechanisms and interpretation of communication may differ but the human need is the same. Reliance on tax-funded programs is not always the best way to approach the needs to sustain them as funding and programs come and go. The real solution to meet the needs of adults with autism is essentially the same as the needs of children with autism. People in their families and communities must help their autistic loved one to make sense of and live in a complex world. The collective belief that they have abilities and strengths are can help reduce their anxieties. Accommodating support in ASD sufferer’s efforts to meet challenges and their own special needs can go a long way in assisting them to live more independent and successful lives. Are federal and state programs available? Are there community outreach programs that help young adults transition to independent living past the age of 22? Adults with autism differ from one another just as it is for children on the spectrum. If you have questions or would like to discuss your particular situation, please don’t hesitate to reach out to us at 1.800.660.7564 or by emailing us at info@covertlaw.com. Those seniors who can afford private pay for their memory care are being aided by assisted living facilities that design dementia care units like a neighborhood from an earlier time in the patient’s life. 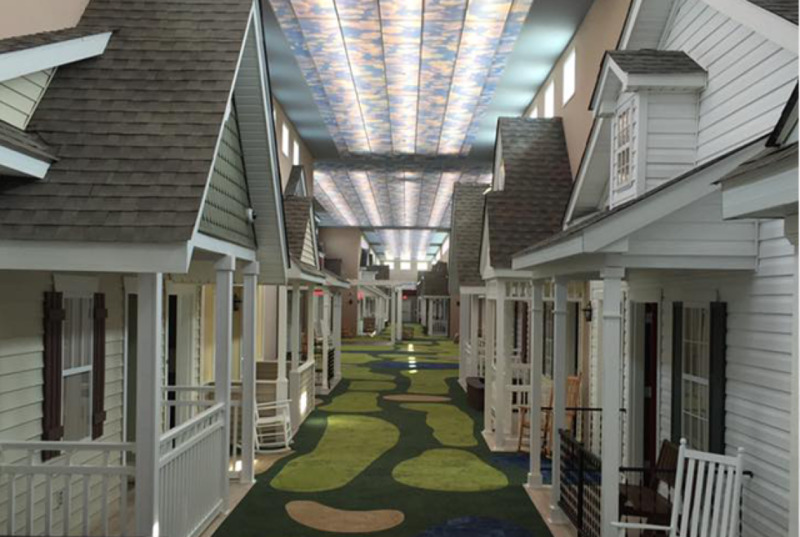 Often, dementia patients readily recall memories from long ago and these centers, designed to look like a community, are replete with porches, rocking chairs, carpet that mimics grass, and a fiber optic ceiling that allows transitional lighting creating a sense of the day and night sky. Other elements like aromatherapy can aide in calming residents or stimulating appetite depending on the selection of oils integrated into the therapy. All of these elements help reduce anger, anxiety, and depression which are hallmarks of seniors who suffer from dementia illnesses. Full continuum care is improving as it meets the increasing numbers of its resident base with memory care issues. Many facilities are tapping into the expertise of geriatric psychiatry“ … also known as geropsychiatry, psychogeriatrics or psychiatry of old age is a subspecialty of psychiatry dealing with the study, prevention, and treatment of mental disorders in humans with old age.” This field of study can enhance a memory care facility and improve the problems of anger, depression, and anxiety with medical components that address dementia. The techniques include a person-centered approach focusing on fostering autonomy, developing empathy with residents and even focusing on humor to help alleviate stress and increase the quality of life. Do you or your loved one have a plan in place in the event you become a memory care patient? Are you aware of the changing options available for living arrangements? Contact our office today and schedule an appointment to discuss how we can help you with your planning. Simply email us at info@covertlaw.com. or call us at 1.800.660.7564. Technology is providing seniors with a multitude of applications to improve their health, lifestyle, safety, and entertainment. While the younger generations may think these older Americans are the equivalent of technology dinosaurs, the truth is mid-life, and older Americans are becoming more digitally connected than ever before. The largest tech participating group of these seniors is generally more affluent and has higher degrees of education than their counterparts. Seniors with more limited incomes and lower levels of educational attainment are the most notably absent group in the digital divide between younger and older technology users. Smartphone ownership and its associated application (app) usage, social media, and online gaming continue to increase at a rapid pace with a full 91 percent of technology users 50 or more saying they use personal technology devices to stay in touch with family and friends. Texting by seniors (86%) has become as pervasive as email (87%). Smartphones are also a handy tool for planning optimal routes to and from locations as well as receiving up to the minute traffic information. Simply put, older Americans now leverage smartphone use in much the same ways that its younger counterparts do and in some ways, seniors (aged 60 – 69) are leading the charge in smartphone use to manage their medical care. 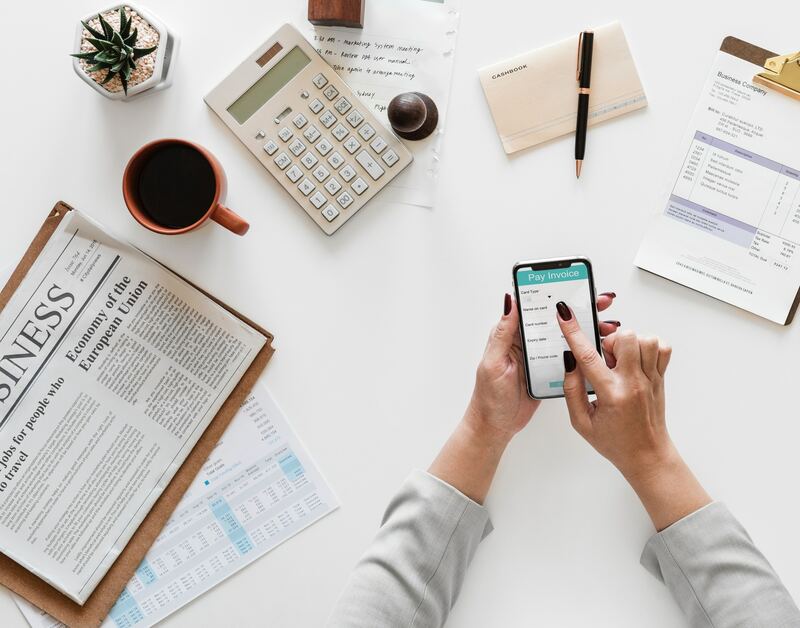 Online banking and money management are becoming more prevalent with senior users as they become educated about and employ privacy mechanisms to protect their identity and assets in an online and cloud storage world. Online learning is prevalent in the senior demographic. An AARP survey shows 23 percent of older adults embrace online learning by taking classes for certificates, obtaining degrees, and how to Do It Yourself (DIY) tutorials. This percent of seniors in online learning is likely to continue its increase as mental agility and longevity become increasingly important due to the alarming rise of dementia disease in the aging population. While there is no direct evidence linking online learning to the staving off of dementia, it cannot hurt a senior to continue with lifelong learning as it may provide a sense of control and well being during their good years. The use of virtual reality in VE, virtual environment, is also on the rise for seniors. The growth rate is currently about 4 percent a year with 13 percent of adults aged 50 or more engaging in the technology. Nearly 90 percent of all virtual reality headsets are smart and mobile phone based. The ease of porting a smartphone into a headset which operates as the screen makes virtual reality a compelling tool for aging seniors. While it provides immersive realities for gaming entertainment, it also can give extensive exploration opportunities for those seniors with limited mobility. Imagine a senior who cannot walk being able to experience a tour of the ancient Greek site the Acropolis, enjoying a virtual scuba dive in the Great Barrier Reef, or taking part in a guided tour through a faraway museum without ever leaving their home, wheel chair, or bed. The mental stimulation and joy it can bring are just beginning to be tapped for the senior market. 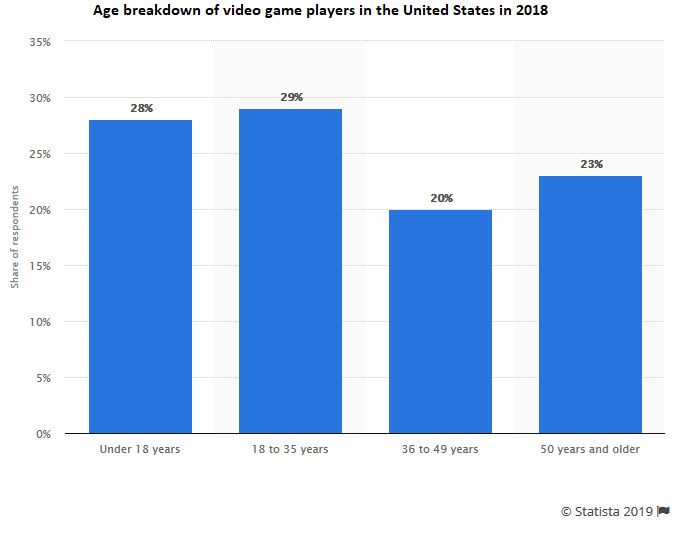 Virtual reality (VR) is projected to impact the gaming industry more profoundly than any other industry, and gamers include the senior market in a balanced way comparative to different age groups. Wearable technology is gaining popularity among the senior market. They include products like smart watches, smart jewelry, fitness trackers, even smart clothing. While being worn, they provide intelligent assistance that can augment memory, intellect, communication, creativity, and physical abilities and senses. They also come replete with challenges such as interface interferences, power requirements, network resources, and privacy concerns. Wearable fitness trackers are becoming commonplace in assisted living, and nursing facilities as the technology will alert medical staff when a patient’s vitals are outside of their norm even if that worker is engaged in other tasks. Worldwide, corporations are very interested in wearable technologies, particularly as it relates to medical issues. Some seniors who would not qualify for implant surgery because of pre-existing health conditions might be able to use a wearable pacemaker rather than having a surgical implant procedure. Other techniques for nonsurgical intervention include smart patches and electronic tattoos that can regulate dysfunctional systems in the body. For those seniors who can tolerate implant surgeries, new and innovative ideas for micro device implants are bringing forward the concept of the trans-human. Trans-human is defined as a standard biological human being who is augmented by implants that might provide improved intelligence, awareness, strength, or durability. Even in the absence of a serious health issue, implants may soon be able to enhance the medical monitoring of seniors in their daily lives. Think of it as a highly accurate fitness tracker implant. These implants in “trans-humans” may be able to observe developing physiological and psychological trends and predict adequate responses to health changes in aging adults. Finally, the video game industry is one of the fastest growing sectors in the US economy. Annual sales in the gaming vertical of “techenomics” have reached $23 billion and are projected to continue to increase. While some of the games seniors are playing online are in the hopes of keeping memory and brain function in good working order, 38 percent of adults aged 50 or more are video gamers purely for entertainment purposes. While these games may provide entertainment and human connection (in situ or online), they also may share cognitive, and brain benefits as well as the senior adapts to ever-changing game scenarios, updated versions and expansions of online games. It is projected that seniors will continue to increase their exposure to and use of technologies at many levels. Development to meet the demands of senior needs coupled with their purchasing power will drive the technology industry for decades to come in ways that are not even imagined yet. For now, aging Americans are embracing technology and the benefits it brings to their lives. As always, if you have any questions or concerns, please feel free to contact us at 1.800.660.7564 or by emailing us at info@covertlaw.com. If you have questions or would like to discuss anything you’ve read, please don’t hesitate to contact us at 1.800.660.7564 or by emailing us at info@covertlaw.com. Is your loved one a US Veteran? Research about the Aid & Attendance benefits available to them. Not a veteran? Then explore options for long term care health insurance. Another option is to learn how to spend down assets to qualify for Medicaid. However this must be done very carefully and with the understanding that even with Medicaid there are, and will continue to be, long waiting lists to get into memory care facilities. If you are fortunate enough to be able to private pay for memory care, it is still important to investigate options to identify the right facility for your loved one. In the absence of a cure for Alzheimer’s all seniors should proactively plan with their family and a trusted elder law attorney to create a plan in the event memory care becomes necessary. Contact our office today and schedule an appointment to discuss how we can help you with your planning by calling us at 1.800.660.7564 or by emailing us at info@covertlaw.com. Your senior years should not be plagued with money woes. The stress that money problems bring not only ruins your aging experience but can also be disastrous to your health. Rising health care costs and your increased need for health care can add up to big bills that can further tax your health. To age well, you must use sound financial judgment as well as make healthy choices for your body and mind. The goal is to remain as healthy as you can for as long as you can and have a healthy bank account to support those goals. Beyond the obvious, such as choosing the right insurance plan and saving money for retirement, there are other strategies you can implement to further a successful and happy retirement. Chronic stress is known to worsen health problems and can also accelerate the aging process. 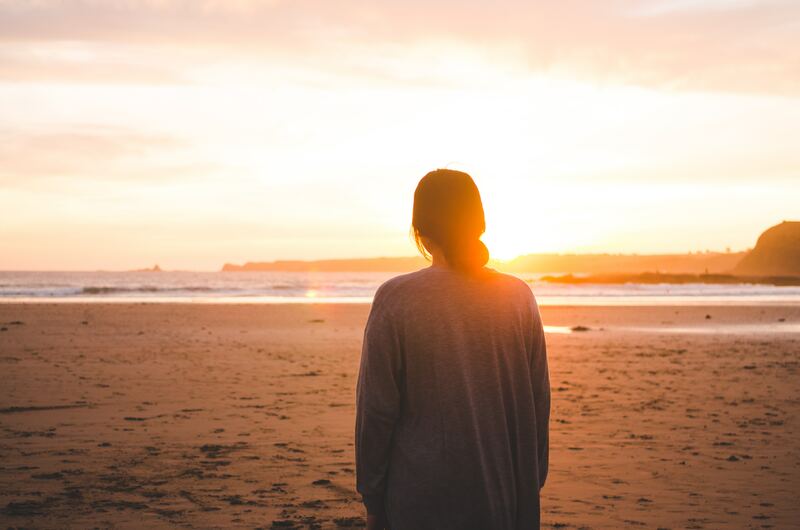 Though everyone experiences and handles stress differently, it is important to identify the specific stresses in your life and hone in on its source to be able to address it adequately. Relationship stress, family stress, and work stress can be treated through meditation and gentle yoga. The more you practice, the more significant the mental and physical benefits you experience. In the case of financial stress, meditation will not save you. You need a concrete plan to approach your problem. Develop a budget that will address which debts you need to pay off first and stick to the program. Learn to avoid excessive spending that puts you in a debt cycle. Once you are as debt free as reasonably possible, learn ways to increase your savings. An easy way to lower your expenditures and increase your savings is to view the world as your gym. Thirty minutes of brisk walking five days a week in your neighborhood is excellent for your body and your mind. Bring your cell phone, but only use it in the event of an emergency. Take in the outdoors around you and let your mind be free. You can be active doing leg extensions or squats in your own home. You can do several ballet plies while cooking a meal and toe raises while brushing your teeth. Before you get out of bed in the morning move your pillow out of the way and stretch out your spine; arms overhead and extending through your toes. The idea is to connect your daily routine activities to a specific exercise and do it every time you enter into that everyday behavior. If you have physical limitations, talk to your doctor before implementing at home exercises or neighborhood walks. Learn to limit the portions of food you eat. We are a nation of overeaters. In many countries around the world, it is unheard of to have a “to go” box from a lunch or dinner that is too big for consumption in one sitting. The Dietary Guidelines for Americans 2015-2020 recommend active men over 65 need 2,600 calories daily, while sedentary men require just 2,000; for women it’s 2,000 if active, and 1,600 daily calories if sedentary. Pass on the heaping helping and pass on a second helping. By limiting the amount of food you eat, you can maintain a more healthy weight, which in turn can improve your health and longevity, as well as save money. If you have room in your yard, start a vegetable garden, plant some fruit trees, and involve your friends to share in the workload and the resulting produce. If you don’t have a yard, join a community garden. Growing your food is an excellent way to increase the number of fruits and vegetables you eat and has the added benefits of making you physically active and socially engaged. By making a garden a group effort, you can prevent isolation which for many older adults is a risk factor for everything from depression to hypertension. If you have problems kneeling or being down on the ground, try using raised garden beds or even try gutter gardening. Gutter gardens are a simple way to grow vegetables that have minimal roots in gutters that are affixed to an outside wall at a height that is comfortable for you. Gutter gardens also remove the problem of bugs in the soil. A fruit and vegetable garden will lower your grocery bill and shift your eating habits to a more healthful plant-based diet. Learn how to can or freeze your produce if you have a short growing season where you live. Make a small investment to solve a significant problem. A grab bar in the shower or lowering the height of your bed can help you prevent a range of serious injuries from a fall. Fractures and head traumas often result in a rapid health decline and even death. Improve your balance with gentle tai chi exercises. Be sure you have adequate lighting in your home. Fix uneven floorboards and get rid of throw rugs. By being mindful of how you move through your home you can avoid an unnecessary fall which will save you money by avoiding medical treatment and might even save your life. Kick bad habits and start with smoking. Just because you have not already developed lung cancer after decades of smoking does not mean you won’t, nor will it help prevent other lung problems like emphysema or chronic obstructive pulmonary disease (COPD). Replace a bad habit with a good one as proposed above. If you drink alcohol on a daily basis or sometimes to excess, consider cutting back or quitting altogether. Alcohol contributes to unsteadiness on your feet and can precipitate you to fall. Do not take more than the prescribed dosage of painkillers or anti-anxiety medications and never mix them with alcohol. It is easy to become addicted to these drugs as you age because often they are used in the treatment of chronic conditions. You can build a tolerance to them and need progressively stronger doses. Try to find alternative ways to address your pain or anxiety. Cut back on sugar and fatty foods. If your day is not structured, create a schedule. Try to eat at regular times as well as have a predictable bedtime and wake up call. Your body will appreciate the regularity of life. Kicking bad habits to the curb can help you enjoy your retirement years with greater energy and health as well as save you a lot of money on bad habits that are expensive. Don’t tax your wallet and your well being. There are many techniques for aging well and preserving your bank account. Some methods are simple while others require guidance by trusted counsel. Reduce the financial stresses of your retirement and contact our office today and schedule an appointment at our Clearwater, Lakewood Ranch, Fort Myers or Naples offices to discuss how we can help you with your planning by calling us at 1.800.660.7564 or emailing us at info@covertlaw.com. This innovation has seen home-based primary care for veterans quadruple since 2000, and all VA medical centers throughout the US now have a palliative care program as well. The VA Medical Foster Home program care has expanded from a pilot to a national program, recognized in at least 45 states and providing veterans housing as well as in-home care. These success stories are great news for veterans and a must for the Veterans Administration partially because the median age of a veteran is now 64 and the US aging veteran population is growing even faster than the senior civilian population. It is not just the “newcomer” seniors straining the VA health care system. Nationwide the 85 plus population is on track to increase 70% from 2000 to 2020 according to the US Department of Health and Human Services. The overall unsustainability of the US health care system has forced the hand of the VA, and there is no more cost-effective way than through subsidized, at home family and community-centered health care and technology to meet veterans’ care needs. The Official Blog of the U.S. Department of Veterans Affairs reports that Telehealth is revolutionizing veteran care and providing high-quality treatment for them. The VA Video on Demand is delivering convenient, accessible health care particularly to those 24 plus percent of veterans who live in rural and remote access locations. Telehealth is also important for those veterans who are disabled. Although a veteran might live in a city they might be unable to get themselves to a medical center for an appointment. Assisted living technologies for veterans include assistive mobility equipment which is an ever-expanding category including wheelchairs, all-terrain vehicles, exoskeletons, and in-home ceiling track mobility systems continue to be refined and specialized to meet the individual veteran’s needs. The Veterans Administration awards grants to develop technology to assist veterans and service members in modifying their homes. Adapted computer access and electronic aids to daily living and environment control units (personal assistants) provide customized interactive abilities for veterans. The VA will provide a payment to disabled veterans toward the purchase of a car or other transportation and additionally will pay for adaptive equipment, repair, reinstallation or replacement of necessary equipment due to disability. If a veteran has lost the use of at least one foot, hand, or has a permanent impairment to their vision or severe burn injuries or immobile joints that their limit mobility the VA will help to fund the adaptation of the vehicle to make it fully operational to the veteran. The same holds with regards to some sports and recreation equipment as well. While the latest technology brings benefits to all seniors opting to age in place, the veteran community is especially helped. Many veterans would like the luxury of aging without combat or noncombat injury so inherent to military service. Some of the aging in place obstacles they must overcome are extreme, commensurate with the injuries (psychological and physical) they have endured. Navigating the benefits that are available to a senior veteran is complicated if you are not well versed in the process. Getting enrolled in the correct program and receiving benefits can also be a lengthy process, so it is best to seek professional advice before wasting valuable time. If you have questions or would like to discuss your situation, please don’t hesitate to reach out to us at 1.800.660.7564 or by emailing us at info@covertlaw.com. How does this affect a senior on an individual level? Scammers typically pose as Medicare officials and ask people to pay for their new cards which in reality are free. Or they phone a potential victim with false news of a refund and ask for the person’s ID number and bank account number to deposit the refund. “Right now … everyone is being inundated with TV commercials, brochures and other official-looking documents in the mail about all the Medicare Advantage plans. It’s so confusing, and in an environment like that, fraud is rampant,” says Micki Nozaki of the California Senior Medicare Patrol. There are more than 50 million Medicare beneficiaries who can annually opt to swap Medicare Advantage and Part D prescription drug plans which provide scammers with the opportunity to prey on vast numbers of seniors. The Centers for Medicare and Medicaid Services have a list of tips to help prevent fraud. The first and foremost is to protect your Medicare and Social Security numbers vigilantly. It suggests treating your Medicare card like you would a credit card and do not provide the number to anyone other than your doctor, or people you know should have it. Become educated about Medicare with regards to your rights and what a provider can and cannot bill to Medicare. Review your doctor bills carefully, looking for services billed for but not provided to you. Remember that nothing is free with regards to medical care; never accept offers of money or gifts of free services. Be suspicious of your provider if they tell you they know how to “bill Medicare” to pay for a procedure or a service that is not typically covered. Before leaving your pharmacy check to be sure your medication is correct, including the full amount prescribed and whether or not you received a generic or brand name medicine. If your prescription is in error report the problem to the pharmacist before leaving. With those two alternatives in mind, we need to do all we can to keep control, as much as possible, of decisions that need to be made long before our final moments. We need to think carefully, well in advance, about what makes life worth living, and where pain and limitation have so eroded that quality of life that we would prefer not to go there. These are notoriously difficult questions, but it is vital to address them anyway. For example, Terri Schiavo spent nearly half her young life unconscious in a condition known as a “persistent vegetative state,” being kept alive by a feeding tube. Her husband and friends claimed that before her severe brain injury, she said that she would not want her life sustained by machines. Unfortunately, she never put that wish in writing. On the other side, her devout family and right-to-life supporters insisted that she be kept alive despite her dire condition. After protracted litigation, Ms. Schiavo’s husband prevailed, the feeding tube was withdrawn, and, fifteen years after she was injured and never having regained consciousness, she was finally allowed to die. It’s our job as lawyers to help you sort through the various directives needed to express your wishes. Here is a step-by-step guide to begin the conversation about final wishes, and to understand which document does what when. 1. If you are over the age of 18, appoint a health-care agent to speak for you when you can’t. and download the starter kit. Once you have had that conversation, visit your lawyer to name your agent formally in an HCPOA document. HCPOA conveys legal authority on your agent or proxy to express your health-care decisions when you are unable to. Here in Florida we refer to this document as a Designation of Health Care Surrogate. Your agent or proxy will also need access to your otherwise-private medical information. This is best done by a standardized document that complies with the federal Health Insurance Portability and Accountability Act (HIPAA). 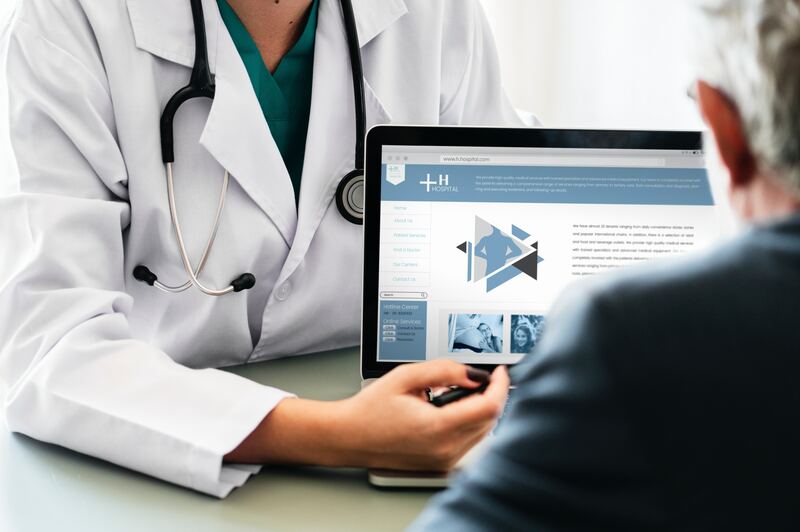 Without this authorization, your agent will be unable to obtain the medical information necessary to exercise the authority you want him or her to have. Now armed with your agent and the HCPOA and HIPAA documents, you will know that if you were to meet with an accident or lose consciousness, you have chosen and empowered an advocate to speak for you. You should review and update these documents every five years or so. The next three documents are important at the end of life. All these documents should stipulate that you desire comfort care, to keep you clean and as pain-free as possible. Remember, though, that you must create these documents while you are still able to know and communicate your wishes, so it’s best to do the next two documents at the same time that you do your HCPOA and HIPAA. This document is for use when you are not enjoying quality of life. Either death is imminent; you are in a persistent vegetative state; or you are permanently unconscious, permanently confused, or unable to care for yourself. If you have no awareness of others; can’t remember or understand or express yourself; or are unable to move, bathe, or dress yourself, it’s advisable to have expressed, in advance, the kind of treatment you want to receive or not receive. A living will expresses your choice as to whether you do, or do not, want artificial measures that will merely prolong your life but not improve it. Those measures, among others, may include CPR if your heart stops, or breathing or feeding tubes, or repeated courses of antibiotics or chemotherapy. You may also require physicians, and not your agent, to be the ones to decide whether to cease life-prolonging procedures as you would like. This decision will relieve your agent from the heavy responsibility of making that irreversible choice. Living wills are legal in almost every state. Ask your lawyer. Don’t make this kind of document yourself. Otherwise you risk that the document may be misinterpreted, with drastic consequences. Medical decision-making varies depending on specific health conditions, so specific directives may be tailor-made for those conditions. For example, people suffering from advanced dementia benefit from a directive, in addition to the HCPOA or living will, specifically requesting that hand-feeding be ceased when the person can no longer speak, recognize loved ones, or move purposefully. Otherwise, caregivers are obligated to cajole or demand that the patient be fed by hand, taking advantage of a primitive reflex to open the mouth. This risks that the person may inhale the mush instead of swallowing it, in some cases causing pneumonia. or End of Life Choices New York. If, however, you suffer from a neurological illness like Lou Gehrig’s disease (ALS) or advanced Parkinson’s, even though most of us would decline mechanical treatments, those same treatments may be important aids to preserve quality of life for people with those conditions. Again, remember that you must create these documents while you still have the capacity to communicate your wishes. Living wills should be reviewed every six months, because wishes can change depending on the progress of the illness. This is a brightly colored, short-form document that is primarily intended for emergency responders when the patient is frail and is likely to die within a year. It is designed to be immediately recognizable by hospitals and EMS personnel, to express that when the patient is unresponsive, cardio-pulmonary resuscitation (CPR) and other aggressive treatments are desired or not desired (DNR). This document should be filled out in consultation with the patient’s physician. 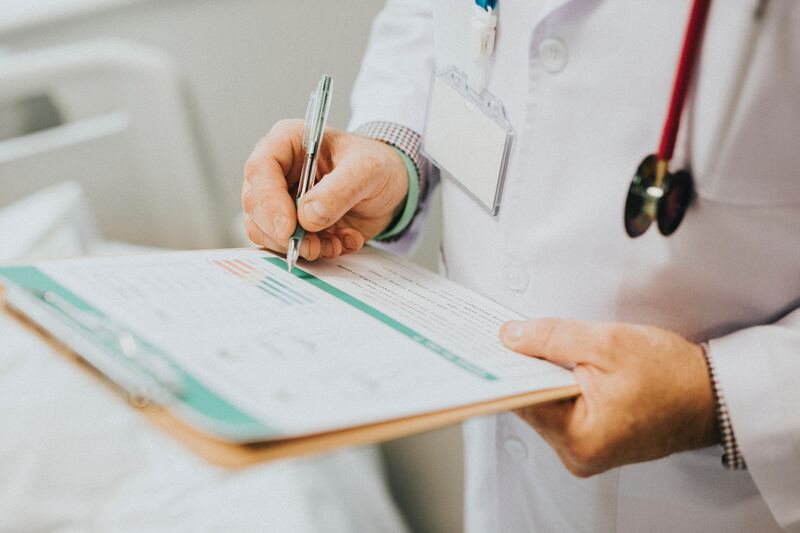 The acronyms stand for “physicians’ orders for life-sustaining treatment” or “medical orders for life-sustaining treatment.” Many states provide for this kind of document. But if all goes according to your wishes, you will have done your best to create a good death, one that is as meaningful as possible for all concerned. If we can assist in helping you with any of the documents above, we would be honored to do so. As always, if you have any questions or concerns, please feel free to contact us at Covert Law by calling 1.800.660.7564 or email us at info@covertlaw.com. Providing care for a senior family member, particularly long-term care, can bring about lost wages and missed opportunities for the caregiver. 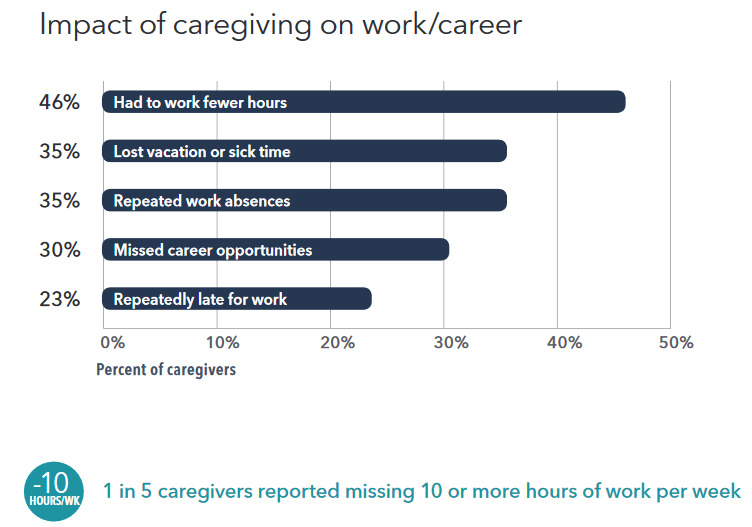 A report by Genworth entitled Beyond Dollars 2018 shows that although statistically having to miss work to provide care is down 7% from 2015, overall 70% of caregivers still report missing work because of caregiving responsibilities. While the percentage remains high, employers are better able and more likely to meet the needs of an employee who also routinely provides family caregiving services. The corporate shift to create flexibility and policy that addresses caregiver needs in the workplace will continue to increase as the baby boomer population ages. The change is welcome as, on average, caregivers spend 21 hours every week providing care. Flexible work hour policies are having a positive effect as caregiver employees can transport their loved one to a daytime doctor appointment or other scheduled event. Some of the employee’s workload is being shifted to online work remotely from their home while other employers will allow a coworker to donate vacation or sick time to a caregiving employee.Julie Westermann of Genworth toldMcKnight’s Senior Living“Access to caregiver support or employee resource groups is another benefit. Also, counseling, coaching or wellness programs specific to supporting caregivers themselves and the financial and legal implications.” There are additional policies and benefits available for family caregiver support that include subsidized in-home back up care and emergency care, and other low-cost or free resources and services. If we can help answer questions about planning options available to your or a loved on, please don’t hesitate to reach out by calling us at 1.800.660.7564. Family caregiving meetings are beneficial and necessary when an aging loved one can no longer care for themselves. These meetings can help to divide the responsibilities of caregiving and reduce stress placed on the family members. It is important that families remember that the meetings are for the care of their loved one and cooperate with one another to help the process to run more smoothly and successfully. If you have any questions about something you have read here about holding a family caregiving meeting, or about anything else, please feel free to contact us at 1.800.660.7564 or email us at info@covertlaw.com. If you have any questions about something you have read or would like additional information, please feel free to contact us at 1.800.660.7564 or email us at info@covertlaw.com. Vitals-tracking wearables are already well-known medical devices. These devices monitor everything from daily physical activity levels, hypertension, cardiac ailments, diabetic levels and more. The devices send vital signs over the internet to medical monitoring staff who can alert health care providers when vital signs are out of the patient’s range of normal. Vitals-tracking wearables are also used in assisted living facilities, nursing homes and hospitals to help nurses and off-site physicians continuously monitor seniors’ vital signs passively. While the internet of medical things holds great promise to curb excessive increases in senior health care costs, there are some cautionary tales. 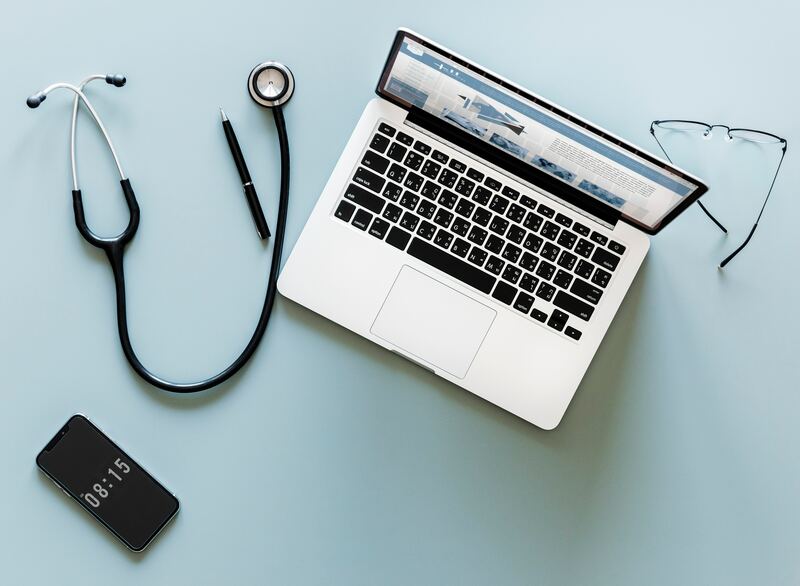 What if an internet service provider “goes down” and no Wi-Fi is available to maintain connectivity to health care professionals? Lately, the number of natural disasters in this country calls attention to what will happen to senior digital monitoring when the lights go out during a fire, flood, hurricane or tornado. Will there be a backup generator to keep the devices online? Will there be anyone in the affected disaster zone online to interpret the medical data a vital tracking wearable uploads? What if the medical device fails for mechanical reasons? Can all aging seniors cope with this level of technology? While these remain potential disaster scenarios the more massive disaster is not addressing the overwhelming costs of senior health care for an increasingly elderly population. The internet of medical things is the logical, efficient, and effective solution for now. If you have questions about what you have read or would like to speak with us about you or a loved one’s legal needs, please don’t hesitate to reach out at 1.800.660.7564 or email us at info@covertlaw.com. Sleeping is one of the most important things you can do for your overall health and well being. The amount of sleep you get is particularly crucial if you are a woman – new studies indicate the traditional recommendation of eight hours is not enough. If you are a woman aged 50 or older, you will likely live longer than the men in that same age group. A longer lifespan presents additional challenges to staying healthy, and as a woman, if you do not get enough quality sleep, it will negatively impact your health. Biological differences between the genders play a role in sleep needs. Neuroscientist research has concluded that women need more than eight hours of sleep each night or they are not well rested. The general reason for this is that the female brain is more active than the male counterpart and requires more rest to recover and repair itself from the damage that was done throughout the day. While you sleep many things are taking place; the body can recover and repair itself from the happenings of the day. Compounds are being synthesized for energy while cells and organs get replenished. The Mayo Clinic reports that lack of sleep increases the risk of daytime sleepiness, weight gain, heart disease, and reportedly forms of dementia like Alzheimer’s. Alzheimer’s disease is thought to be caused by an excess of amyloids (aggregates of proteins) in the brain. As women go into a deep state of sleep, these proteins get cleared from the brain. There is a connection between the quality and quantity of women’s sleep and a healthy brain. Nearly 66% of people living with Alzheimer’s are women, and surveys show that 40% of adult Americans get less than 7 hours of sleep per night – the overall average amount of time spent sleeping for all adult Americans is 6.9 hours. Lack of sleep for women has disastrous consequences for their health. Proper hours and quality sleep decrease stress levels, which is beneficial to cardiovascular health. Good sleep affords women better attention capabilities, better memory function and may increase creativity. Sleep also helps the body to maintain a healthy weight as women with proper rest lose more fat, provided they are eating healthy foods. Plenty of sleep also supports a woman’s skin and overall appearance. The adage “beauty rest” is a real thing. There are some things that women can do to help improve the quality of their sleep. Exercising on a daily basis is key to proper rest. Turning off the television and putting away the cellular phones at least one hour before bedtime allows your brain to wind down to a more restful state and gets you away from the blue light emissions that can affect the quality of your sleep. Avoid alcohol and coffee before sleeping and develop a healthy bedtime routine. Have a set time for lights out and stick with it. Make sure your mattress and pillow suit your sleep needs. Women require more sleep than their male counterparts. Sadly, many women may not know this or have a feeling of guilt if they take the time to sleep more. However, a well-rested woman is capable of being more productive during her day than a tired one. A well-rested woman has a much better chance of being healthy and disease free. It is essential to take the proper steps to ensure you or the women in your life are getting enough sleep. Taking care of your physical self through adequate sleep is one of the most important things a woman can do – it can help you remain healthier as you age. To have a successful and enjoyable life in your later years, plan for sleep and make it a priority to get enough of it. Planning for your later years and striving to be fit both physically and mentally are a necessity for successful aging. Women have unique needs that must be addressed. Contact our office today and schedule an appointment to discuss how we can help you with your planning and care by calling 1.800.660.7564 or by emailing us at info@covertlaw.com. The findings from a 10 year study by the Journal of the American Medical Association have reported a link between hearing loss and health risks. The risks include a 50% greater risk of dementia, a 40% greater risk of developing depression and a nearly 30% higher risk of accidental falls. 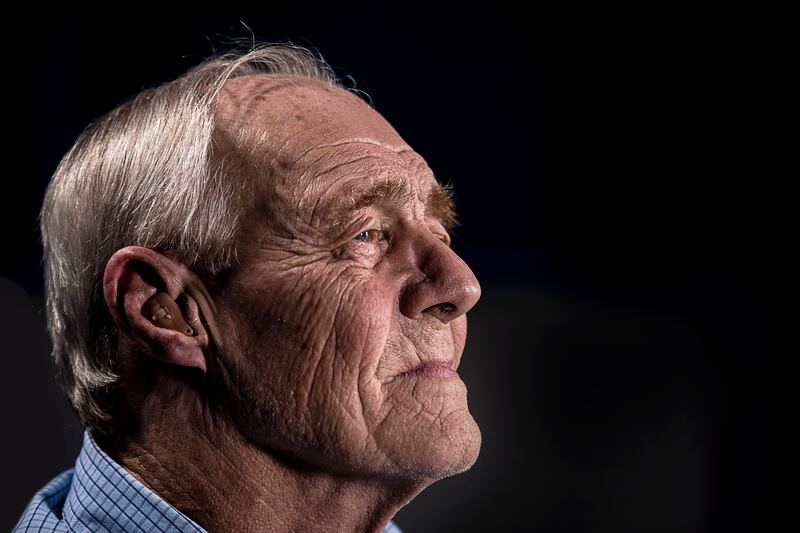 While hearing loss is becoming more prevalent in younger people due to the use of earbuds and noise pollution, it is the elderly population who are more quickly and significantly affected by adverse health risks because of their hearing loss. There is a wide range of reasons that account for hearing loss. Some are genetic while others include noise exposure, medications, head injuries, and infections. While hearing loss is a frustrating experience for those who have it, along with their loved ones, the worst option is to ignore the condition. The sooner your hearing is tested, the better your ability to proactively save yourself from associated health risks due to hearing loss. According to John Hopkins University, brain scans indicate that loss of hearing has even been associated with more rapid rates of brain atrophy. Nearly 27 million Americans age 50 or more have hearing loss while only one in seven uses a hearing aid or implant device. Hearing is often the most overlooked of the five human senses: taste, sight, touch, smell, and sound. Your ability to hear is incredibly important and the longer you put off addressing a hearing problem, the greater the possibility of associated adverse health events. Make good hearing part of your overall plan to age successfully. Like retirement planning and elder law planning, the sooner you address the issue, the better the outcome will be. Contact our office today and schedule an appointment to discuss how we can help you with your planning by calling us at 1.800.660.7564 or by emailing us at info@covertlaw.com.